Almost five million young people across the nation are neither in school nor working. These disconnected youth lack opportunity, not talent. At the same time, there are millions of jobs going unfilled in the workplace as employers can’t find qualified applicants. 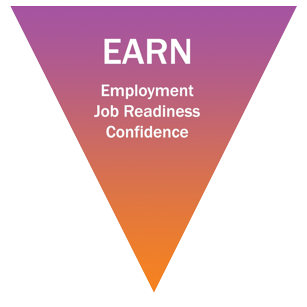 Juma’s YouthConnect program combines employment and job training at our social enterprises with a complementary suite of services focused on building financial capability and career pathways toward middle-skills careers and a living wage. A job is about more than a paycheck. Work brings dignity and research indicates that the combination of a powerful early employment experience with continuing education support and asset building opportunities, helps youth overcome the hardships of poverty and aspire to career success. With support from a positive adult role model, youth are able to explore a range of education and career pathways, set career goals and develop the soft skills needed to succeed in 21st century careers. YouthConnect works to ensure that, by age 25, youth are on a career trajectory toward a living wage, economic well-being, and prosperity, ultimately breaking out of the cycle of poverty in which they grew up. Point with your cursor to learn more about each component of the model. Juma operates concession businesses in professional sports and entertainment venues to provide meaningful employment experiences to youth from underserved communities. You will find Juma youth selling ice-cream and coffee during games such as those of the San Francisco Giants (MLB) at AT&T Park, San Francisco 49ers (NFL) at Levi’s Stadium, Oakland A’s (MLB), and Atlanta Falcons (NFL) at the Mercedes-Benz Stadium. Youth are employed for the length of a sports season (average six to nine months), complete approximately 150 hours work experience and earn on average $2,000. While at Juma, they master soft and hard skills, build core competencies in customer service, sales and business operations. Much more than a job, Juma integrates a youth development, strengths-based approach to help youth develop professional skills and navigate the transition to healthy adulthood. Alongside the job, youth are supported by a Career Coach, focused on helping them overcome personal barriers to successful permanent employment and mastery of crucial skills like communication, professionalism, personal accountability, teamwork, problem-solving and leadership skills, all in a growth mindset-framework. Youth participate in a series of job search skills workshops such as resume writing and mock interviews and go on career tours that expose them to a broad range of middle-skills career pathways such as advanced manufacturing, healthcare and aviation. With the support of their Career Coach, youth identify and attain strengths-based, short-term and long-term personal, financial, education and career goals in an Individual Development Plan (IDP). As part of the IDP, youth are encouraged to think beyond the next job and set continued learning goals, such as completing the GED, enrolling at a community college, or pursuing a credential that will help them on a pathway to sustainable middle-skill careers. 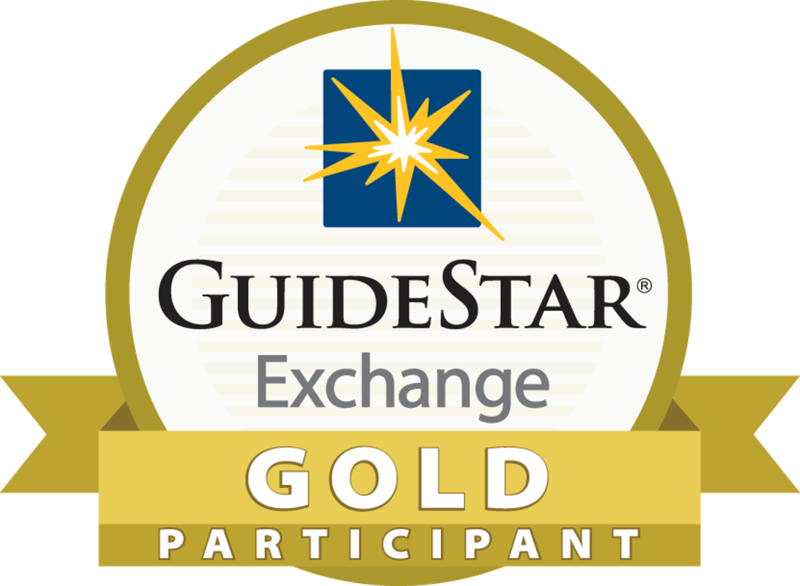 To connect youth to sustained employment, Juma partners with corporations primarily in the retail, hospitality, food service, health and logistics industries such as MOD Pizza, UPS, Amazon, CVS Health, Costco, Starbucks, Gap Inc. and Southwest Airlines. Once youth are hired, Juma’s Career Coach provides youth with 90 days continued support to ensure retention success. 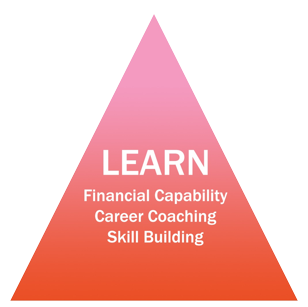 Retention support takes the form of continued soft skills coaching and help understanding our industry partner’s career mobility pathways. By ensuring that youth understand the job expectations, manage any budding conflicts, and receive proper training, Juma is able to increase the chances that our youth will succeed. In 2018, Juma will continue to deepen its partnerships with community colleges and other organizations such as Georgia Tech in Atlanta to support our youth in enrolling in further education and training that will support their career mobility. Juma embraces a collective impact approach to achieving its mission, and over the last year has made significant progress forming partnerships with local nonprofit organizations serving foster care youth such as First Place for Youth, and other initiatives working to place disconnected youth into employment such as My Brother’s Keeper. These organizations are able to provide Juma youth with additional wrap around supportive services such as housing assistance, transportation and mental health counseling. 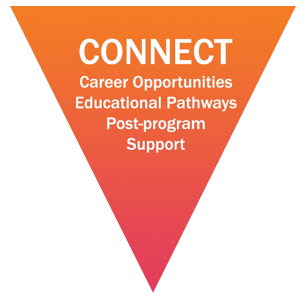 For information on Pathways, our past program focused on High School Youth who are aspiring to attend college, click here – but please note we are no longer recruiting for this program.